This is, hands down, my all time favourite blusher palette. I have only had it for a few weeks, but I'm already totally in love with it. Californ.I.A is inspired by the sun, sand and surf of Californian beach life. The intensely pigmented cream blushers are the perfect shades of peachy/coral for Spring and Summer. The cream consistency is so lovely to apply and blend, and leaves a beautiful and natural glow to the complexion. So being a massive fan of The OC, I instantly fell for the names of the blushers. I can definitely see a similarity between these pretty shades and the makeup of Marissa Cooper. Infact, I might even try to recreate Marissa's natural and pretty makeup look using this palette. 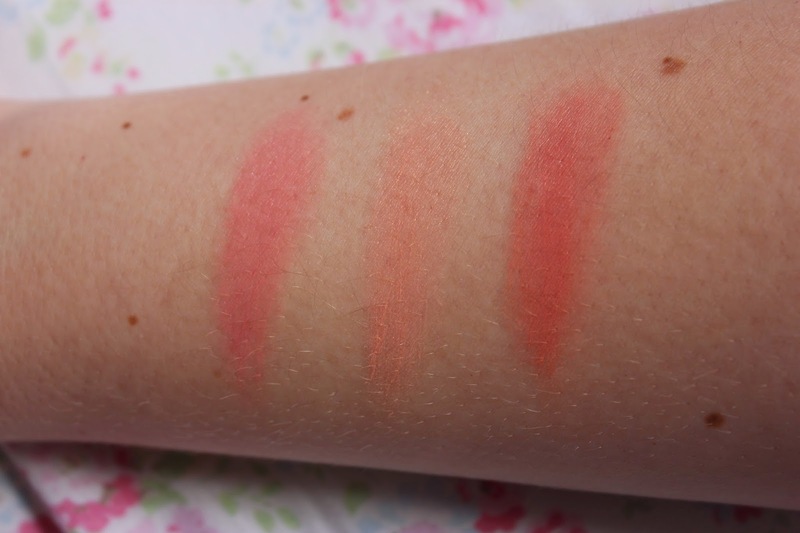 Sleek Blush By 3 Palettes are amazing value, only £9.99 from Superdrug. I find myself buying one each new season, falling in love with it, and pretty much not wearing anything else.